Lynda Carter's Wonder Woman and Lindsay Wagner's Bionic Woman were icons of '70s TV — and now, decades after they ruled the small screen, they're teaming up for a new comic series fit to burst with nostalgia. From DC Comics and Dynamite Entertainment, Wonder Woman '77 Meets The Bionic Woman, by Andy Mangels and Judit Tondora, sees Diana Prince and Jamie Sommers tasked with collaborating on a quest to stop the sinister international cabal CASTRA from stealing top secret weapons and wreaking havoc around the world. Expect lots of Bionic running and liberal journeys in the invisible jet, presumably, because a series like this is going to be packed with love letters to these two classic shows. 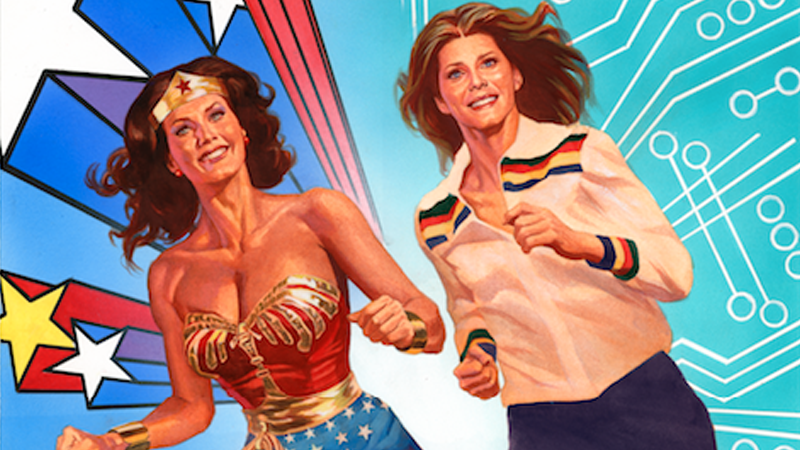 Wonder Woman '77 Meets The Bionic Woman begins this December.